"very intelligent, and has a wealth of knowledge on insurance-related matters. He is very approachable, which makes for excellent collaboration"
Richard has extensive expertise across the spectrum of commercial litigation, including regular involvement in arbitration and ADR, as well as advisory work. He has particular expertise in insurance and reinsurance and professional negligence matters. Richard’s practice entails handling a significant international caseload of highly complex insurance and reinsurance disputes. His deep involvement with the industry has led to him providing opinions on amendments to the 2015 Insurance Act. Richard has a profound depth of experience in advising on and arbitrating/litigating disputes in the insurance and reinsurance fields (including Bermuda Form). Reported cases include Rathbone Brothers v Novae in the Court of Appeal and EL Trigger in the Supreme Court. Many more higher profile cases are the subject of confidential arbitration. Richard offers expertise in handling fraud in the context of insurance claims, including coverage issues arising from fraudulent activities and the effect of fraudulent conduct in course of pursuing insurance claims, and has extensive experience in mis-selling, particularly the mis-selling of investment products including CDO’s and gear-down accumulators. Richard was named Insurance Junior of the Year at the 2014 Chambers Bar Awards. The Awards are based upon independent research conducted for the 2015 edition of Chambers UK. 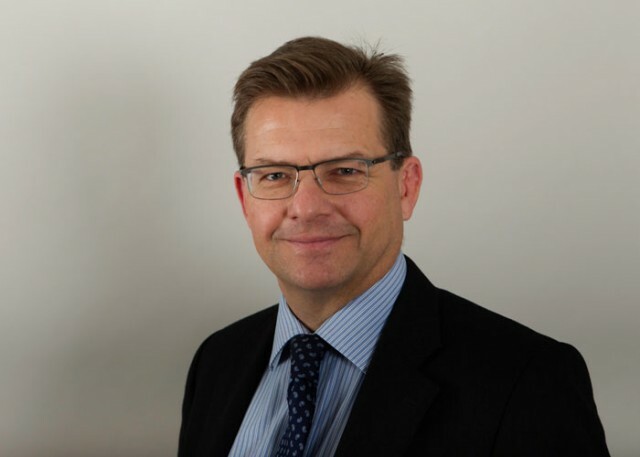 In May and June 2016 Richard addressed the annual AIRMIC and BIBA conferences on the challenges facing the insurance industry in implementing the Insurance Act 2015 and Enterprise Act 2016 (see ‘Events’ for links). In November 2015 an Opinion provided by Richard and Colin Edelman QC was relied upon by an alliance of the UK insurance industry, consisting of Mactavish, Lloyd’s, the LMA, IUA, ABI, BIBA, LIIBA and AIRMIC, in the House of Lords debate on proposed amendments to the Insurance Act 2015. The amendments, including amendments proposed by Colin and Richard, became law with the passing of the Enterprise Act 2016 on 4 May 2016. In November 2013, Richard attended the Insuralex Global Insurance Lawyers Group conference in Bermuda, presenting sessions on ‘The Insurability of Fines and Penalties’ and ‘Aggregation in the Reinsurance Context’. The details may be viewed here. Catlin Syndicate Ltd v. Weyerhaeuser Co  EWHC 3609 (Comm) - Anti-suit injunction – Arbitration – Incorporation of arbitration clause – Construction of excess layer insurance policy - Under Weyerhaeuser’s Lead Underlying Policy: disputes were to be resolved in London by arbitration; the interpretation and construction of the policy were subject to the laws of the State of Washington; and, solely for the purpose of effectuating arbitration, in the event of the failure by the insurer to pay any amount claimed to be due, the insurer was at the request of the assured to submit to the jurisdiction of any court of competent jurisdiction within the United States. Richard is recommended as a Leading Junior in Insurance and Reinsurance by the Legal 500 and Chambers UK. He is also recommended by Legal 500 as a leading junior for Professional Negligence. Richard is ranked as a leading junior for Insurance and Reinsurance in both Chambers UK ("incredibly bright, hard-working, thoughtful and reliable") and Legal 500 ("brilliant, thorough, incisive and strategic – you want him on your team"). Richard has a profound depth of experience in advising on and arbitrating/litigating disputes in the insurance and reinsurance fields (including Bermuda Form). Richard’s experience covers all aspects of insurance and reinsurance, including notification, aggregation, avoidance and fraud, advising re FCA regulation, wordings, TOBAs, binding authorities and claims management contracts; compliance and strategic advice concerning the Insurance Act 2015. Richard’s reported cases include Rathbone Brothers v Novae in the Court of Appeal and EL Trigger in the Supreme Court. Recent high-profile cases include the British Airways Heathrow data centre outage 2017 (business interruption claim); NotPetya Ukrainian cyber-attack 2017 (business interruption/cyber insurance); Icelandic bank/Tchenguiz claim (professional indemnity insurance); South Korean toxic humidifier disinfectant death and injury claims (product liability insurance); Petrobras corruption scandal - New York class action (professional indemnity insurance); major weapon systems claim (export credit insurance); liability of professional trustees in Guernsey and Jersey (professional indemnity and D&O insurance); World Trade Center aggregation/coverage arbitrations (excess of loss reinsurance); antisuit injunction for excess of loss insurers against US wood products manufacturer (US umbrella liability insurance); failure of Enterprise Zone, EBT and film financing tax schemes (professional liability insurance); satellite fuel leak claim (in-orbit and revenue insurance); mis-selling of financial products (Hong Kong banks - professional liability insurance); Californian wildfires (whole account reinsurance); British Steel blast furnace claim (property and business interruption insurance); class actions against Canadian auditors (excess of loss reinsurance); legal expenses insurance disputes, including security for costs (before and after the event insurance); pension scheme/trustee liability (trustee liability insurance); collapse of VW/Audi dealership showrooms (professional indemnity insurance); asbestos property and injury claims (public and employers’ liability insurance); advising on bespoke merger and acquisition policies. C&S Associates UK Ltd v Enterprise Insurance Company Plc  EWHC 3757 (Comm) – representing insurers in a dispute arising from termination of a claims handling delegated authority agreement. Rathbone Brothers Plc v Novae Corporate Underwriting & Ors  EWCA Civ 1464 (Comm) - representing the professional trustee in a dispute concerning the coverage of professional indemnity policies (and related D&O policies) for the defence of a clam for over £100m, based on allegations of mis-management of the assets of an offshore trust. ARB International Baillie  EWHC 2060 (Comm) - representing the former managing director of a reinsurance broker in the successful defence a claim alleging the negligent negotiation of commission entitlements under binding authorities, quota share treaties and excess of loss policies, after a mid-term change of broker. Akzo Nobel UK Ltd & AMEC PLC v Excess Insurance Co (2012) (Supreme Court) – Lead Case in the “EL Trigger litigation”, representing Akzo Nobel and AMEC ("the employers' camp") in this appeal, which established that employers' liability insurance written on an "injury sustained" basis responds to mesothelioma claims on an exposure/causation basis. Southern Rock Insurance v Claims Manager (anon) (2011) - pursuing claims for negligent claims handling relating to c.50,000 claims handled by claims management operation for insurer over a period of 3 years; claims pursued in reliance on sampling and actuarial evidence. Involvement in many aspects of commercial litigation and advisory work including arbitration and ADR. Experienced in professional negligence claims involving the insurance sector, legal services, the financial sector, the construction industry, valuers (commercial and residential), accountants and auditors. ARB International v Baillie  EWHC 2060 (Comm) – representing the former managing director of a reinsurance broker in the successful defence of a claim alleging the negligent negotiation of commission entitlements under binding authorities, quota share treaties and excess of loss policies, after a mid-term change of broker. Richard Harrison offers expertise in handling fraud in the context of insurance claims, including coverage issues arising from fraudulent activities and the effect of fraudulent conduct in course of pursuing insurance claims. Richard Harrison successful in Commercial Court claim regarding basis of reinsurance broker’s entitlement to commission. EL Trigger In The Supreme Court: What Happened And What’s Next? Damages for late payment of insurance claims ~ All change for the Settlement Express? Insurance Act 2015 - A new dawn for commercial insurance law? The Insurance Act 2015 - A New Dawn?